New. Text in Spanish. Trade paperback (US). Glued binding. 294 p. Contains: Illustrations, black & white, Line drawings, black & white. In Stock. 100% Money Back Guarantee. Brand New, Perfect Condition, allow 4-14 business days for standard shipping. To Alaska, Hawaii, U.S. protectorate, P.O. box, and APO/FPO addresses allow 4-28 business days for Standard shipping. No expedited shipping. All orders placed with expedited shipping will be cancelled. Over 3, 000, 000 happy customers. Fine. Text in Spanish. Trade paperback (US). Glued binding. 294 p. Contains: Illustrations, black & white, Line drawings, black & white. In Stock. 100% Money Back Guarantee. Brand New, Perfect Condition, allow 4-14 business days for standard shipping. To Alaska, Hawaii, U.S. protectorate, P.O. box, and APO/FPO addresses allow 4-28 business days for Standard shipping. No expedited shipping. All orders placed with expedited shipping will be cancelled. Over 3, 000, 000 happy customers. New. Text in Spanish. Trade paperback (US). Glued binding. 294 p. Contains: Illustrations, black & white, Line drawings, black & white. Fine. Text in Spanish. Trade paperback (US). Sewn binding. 294 p. Contains: Illustrations, black & white, Line drawings, black & white. In Stock. 100% Money Back Guarantee. Brand New, Perfect Condition, allow 4-14 business days for standard shipping. To Alaska, Hawaii, U.S. protectorate, P.O. box, and APO/FPO addresses allow 4-28 business days for Standard shipping. No expedited shipping. All orders placed with expedited shipping will be cancelled. Over 3, 000, 000 happy customers. New. Text in Spanish. Trade paperback (US). Sewn binding. 294 p. Contains: Illustrations, black & white, Line drawings, black & white. In Stock. 100% Money Back Guarantee. Brand New, Perfect Condition, allow 4-14 business days for standard shipping. To Alaska, Hawaii, U.S. protectorate, P.O. box, and APO/FPO addresses allow 4-28 business days for Standard shipping. No expedited shipping. All orders placed with expedited shipping will be cancelled. Over 3, 000, 000 happy customers. 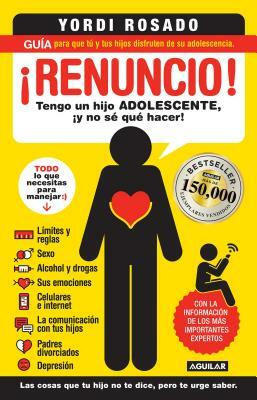 All Editions of írenuncio! / I Give Up!